Scotland has a population of roughly 5 million, 70% of which is concentrated in the Central Lowlands. The country's average population density is 166 per square mile, from a low of 8 per square mile in the Highlands to a high of 8,526 per square mile in Glasgow. An overwhelming 98% of Scots are Caucasian, 88% of which are Scottish and 7.4% of which are English, Irish, or Welsh. South Asians comprise 1.1% of the population, and are the country's biggest ethnic minority. 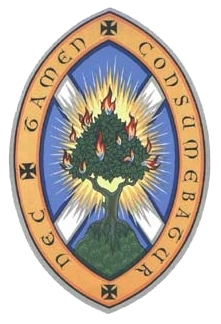 Nearly two-thirds of Scots are Christian: 42% adhere to the Church of Scotland, 15.9% are Roman Catholic, and 6.8% follow other Christian denominations. Over one quarter of Scots claim no religious affiliation (27.5%), while other world religions comprise less than 2% of the population. Muslims make up 0.8%, and less than 0.1% are Jewish, Hindu, Sikh, or Buddhist. On Scotland's 2001 census, 5.5% of the population chose not to state their religious affiliations and 0.5% marked their affiliation as "other". Scotland's official language is English, with Scots and Gaelic as recognized regional languages. Literacy rate: With one of Europe's strongest educational traditions, 99% of people in Scotland over the age of 15 can read and write. Scotland is a constitutional monarchy and part of the United Kingdom, its head of state being the monarch of the United Kingdom. It enjoys limited self-government within the United Kingdom as well as representation in the UK Parliament. 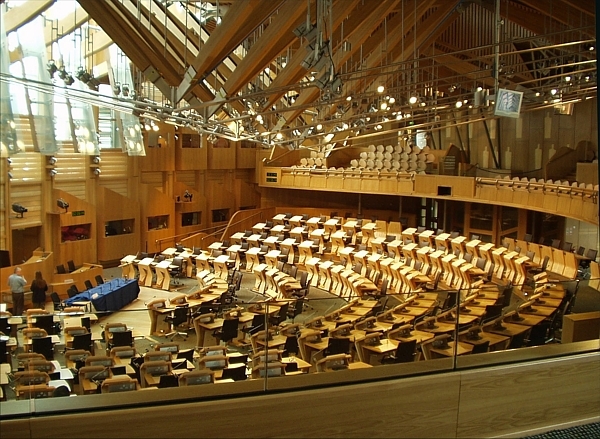 The Scottish Parliament is a 129-member unicameral legislature. 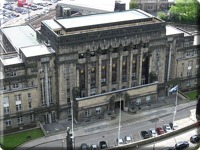 Ministers of the Scottish Government, the executive arm of government, are appointed by the monarch on the nomination of Scottish Parliament. 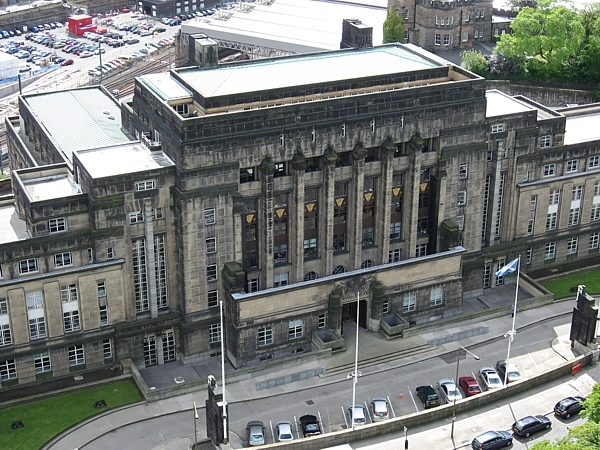 The executive of the Scottish Government is called the First Minister. 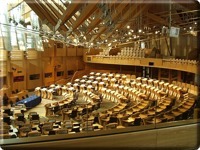 Five political parties are represented in Scottish Parliament: the Scottish National Party, the Labour Party, the Conservative Party, the Liberal Democrats, and the Green Party.